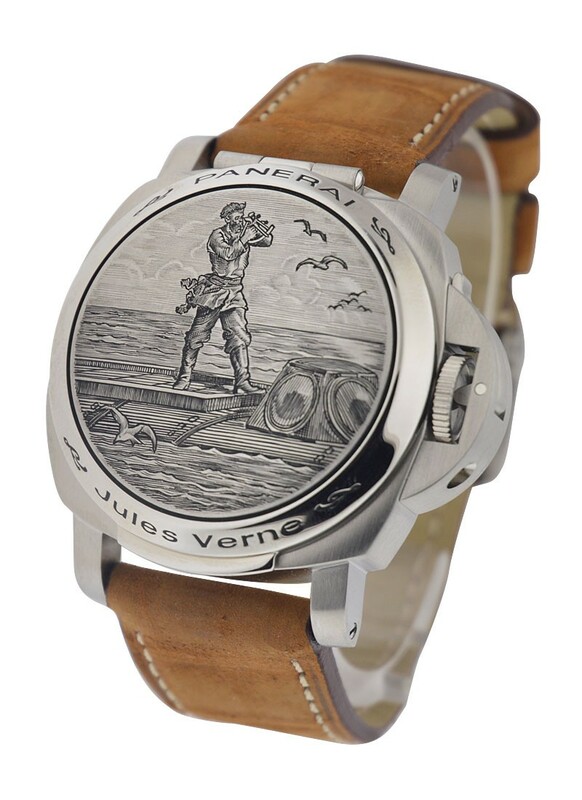 Panerai presents this PAM 216 - Jules Verne - Limited Edition Purdey watch Ref.#PAM 00216. 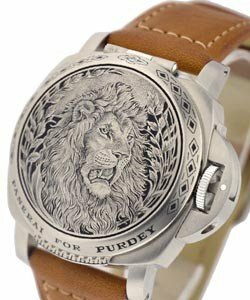 This timepiece has Automatic movement, premium-grade brushed stainless steel with hunter lid, black dial that compliments the stainless steel Arabic Numerals and dot time markers, and brown leather strap with tang-type buckle. 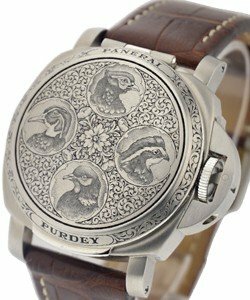 This Panerai PAM 216 - Jules Verne - Limited Edition Purdey watch features a hand-made engraving on its cover; Hours, Minutes, Small Seconds, and Date functions, and a scratch-resistant sapphire crystal. 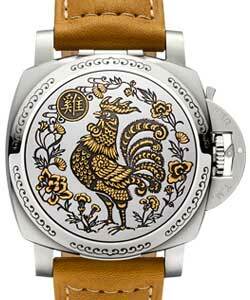 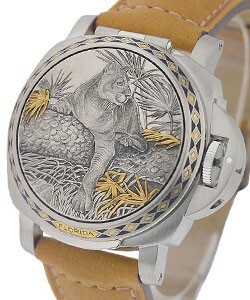 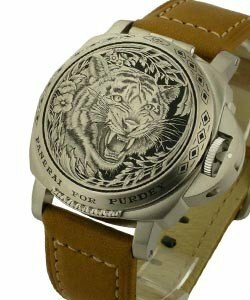 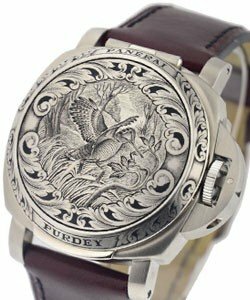 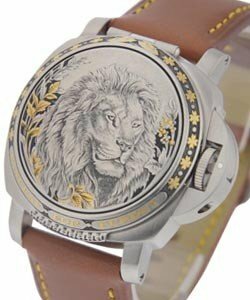 This piece has an approximately 42 hours power reserve and is water resistant of up to 165 feet. 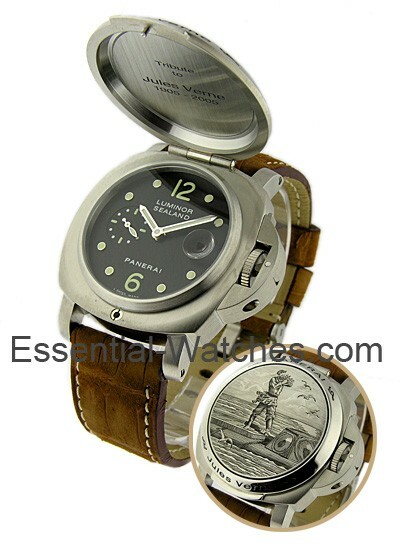 The combination of simplicity, prowess, and functionality is really remarkable with this Panerai timepiece.